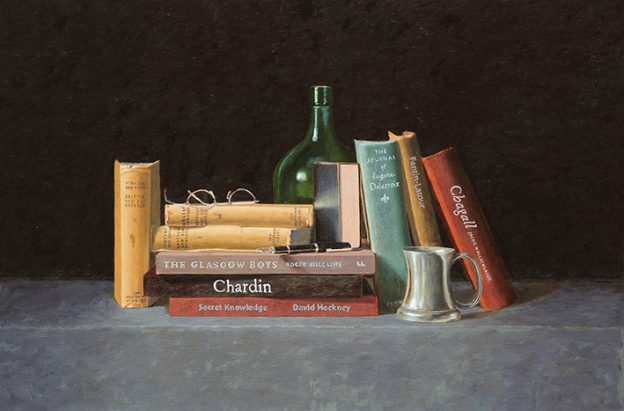 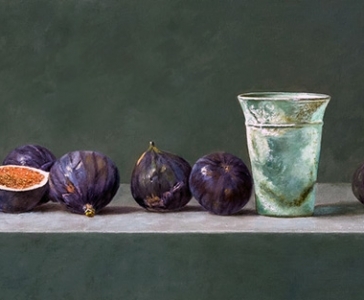 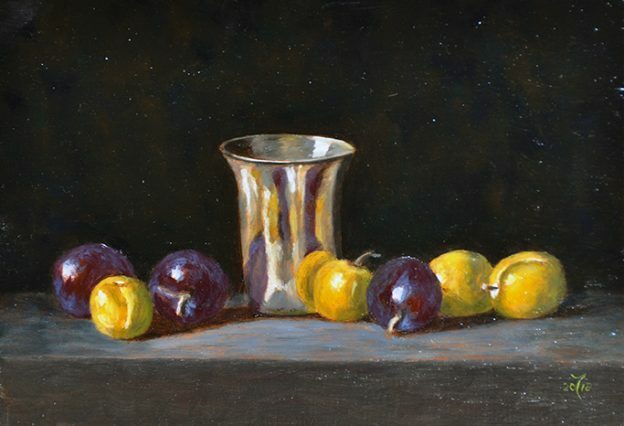 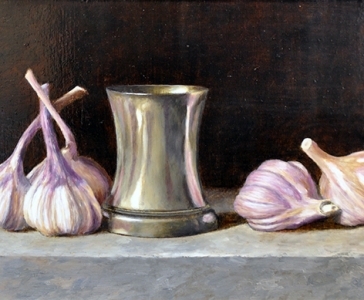 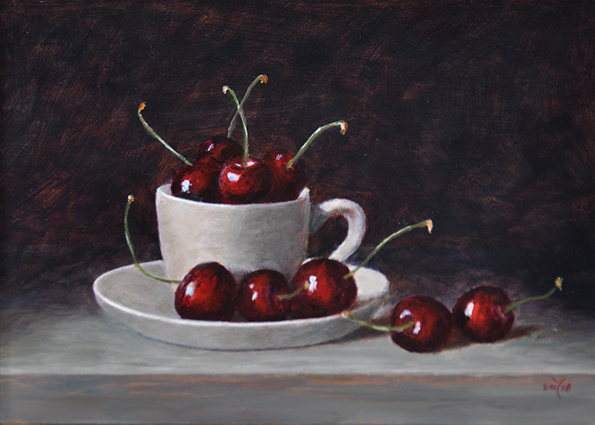 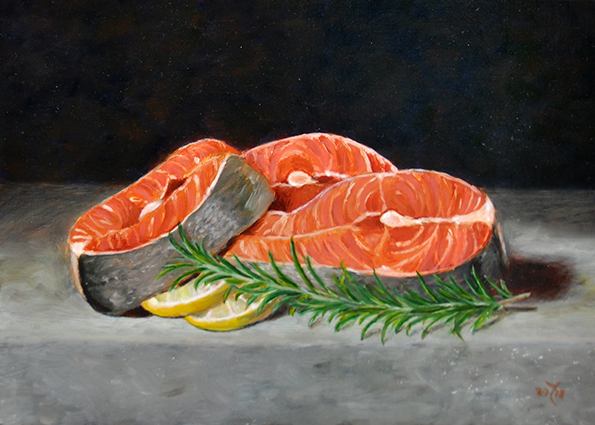 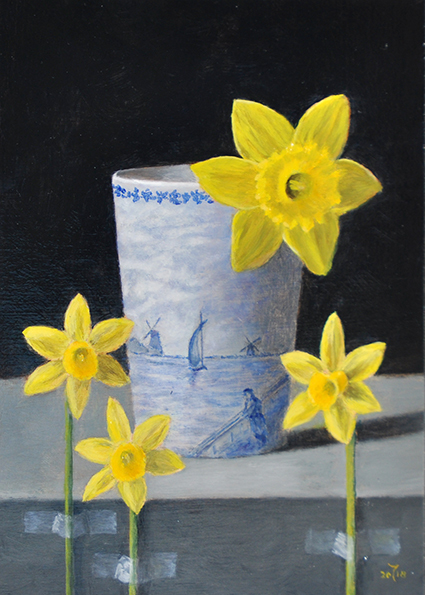 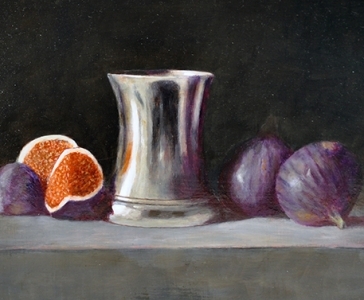 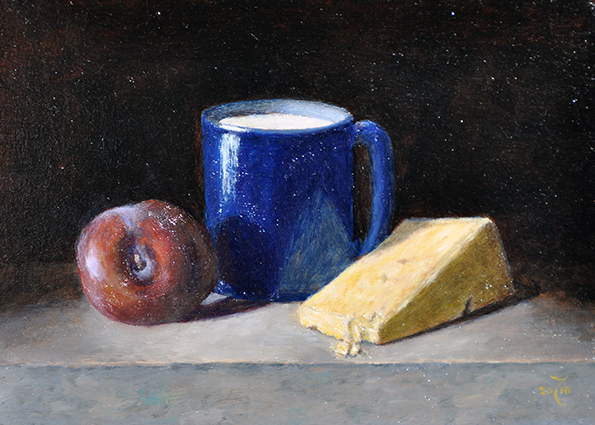 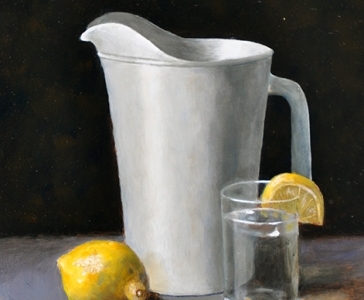 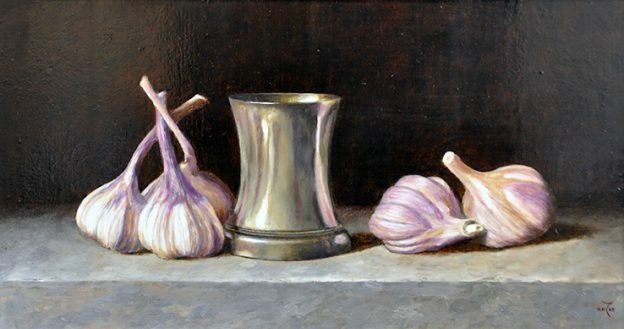 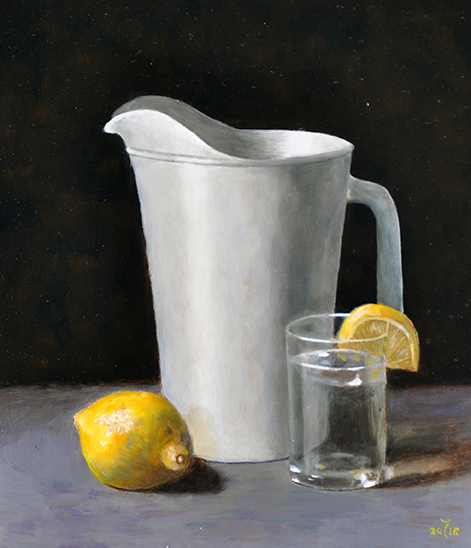 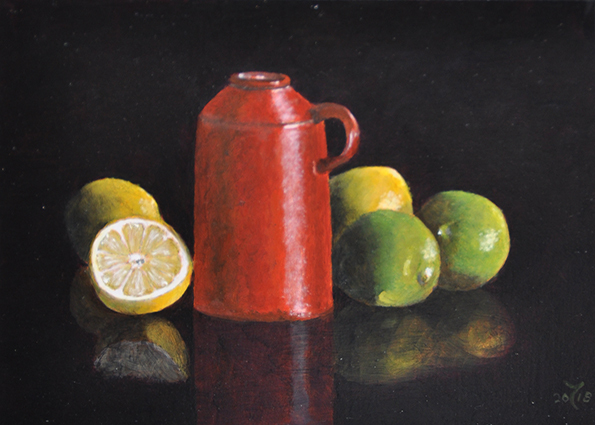 Yolanda specialises in still life paintings of objects that have a noticeable shape, texture or colour. 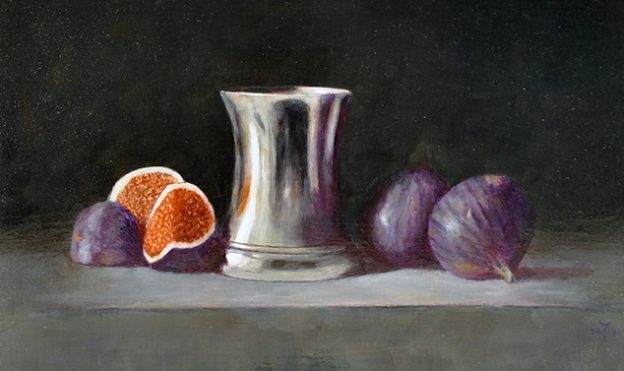 The character of her paintings is probably best captured by the word ‘fusion.’ In music, this term means ‘mixing different styles,’ and it aptly describes her work too, for mixing styles is precisely what she does. 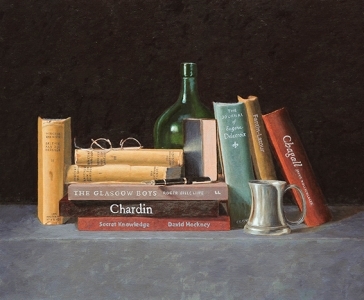 Blending a traditional painting technique with a contemporary approach to composition.